Happy Friday everyone!! 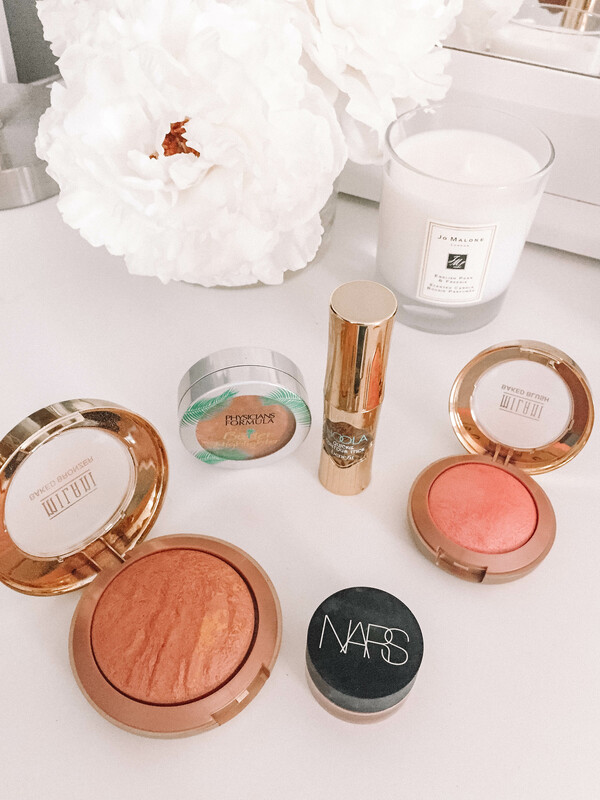 Today I am sharing my must-have makeup for the summer months! 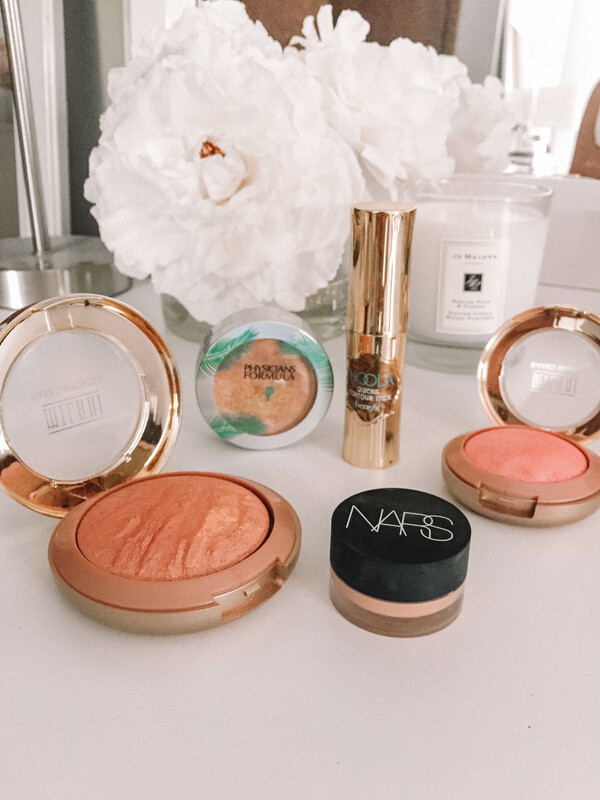 I love these products because they allow me to create a very flawless, effortless, and glowy look. I love wearing super glowy and radiant makeup in the summer cause it looks so beautiful with a tan. The best part is that most of these products are very affordable! As always, I will link all the products below so you can easily find and shop the products!! This concealer is an essential in my summer makeup routine. In the summer, I cut back on wearing foundation and just wear concealer where it is needed. It is so creamy and full coverage and conceals everything seamlessly. Skipping foundation has really helped my skin to clear up and just look better overall! I love this contour stick!!! It is the perfect shades and never makes you look orange. I love using this product in the summer because it looks so natural under your bronzer. I blend it in with a brush after I apply my concealer then set it with a little bit of translucent powder and follow that with bronzer! I love using cream products in the summer because they are so glowy and make your skin look so radiant! I have fallen in love with this bronzer!! Mine is in the shade Glow and that is exactly what it does! It gives you the most beautiful color while giving a radiant effect on your skin as well. It goes on the skin so smoothly and is so easy to blend. This product reminds me so much of the Hourglass ambient lighting bronzers which are over $50, such a great dupe!! I have heard so many great things about this blush over the years and I am so happy I finally decided to try it out! Mine is in the shade Luminoso and it is stunning. 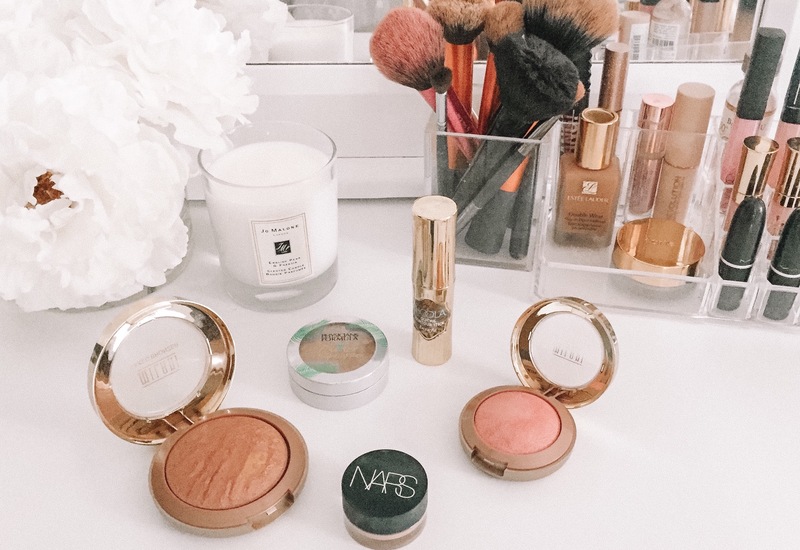 It pairs perfectly with the bronzer and makes your skin look so healthy and luminous! It is the perfect shade and a little goes a long way! I am in love and you will be too!! Last but certainly not least is my current fav highlighter from physicians formula! I was so impressed when I tried this product, it is so creamy and pigmented. I have the color champagne and it is the most beautiful shade. I apply it with my fingertips to my cheekbones, nose, cupids bow, and eyelids. It really pulls my whole glowy look together. The color is amazing and it is so affordable, check it out!! I hope you enjoyed today’s blog post!! 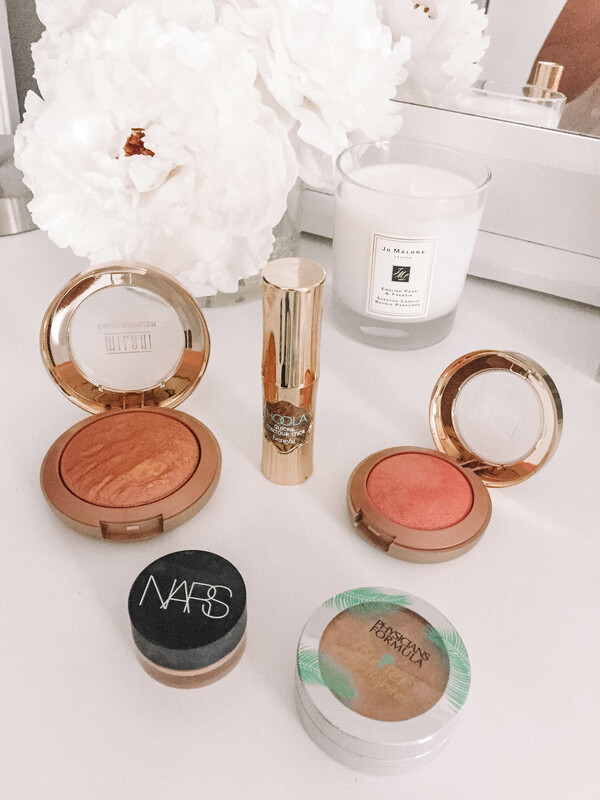 These products are my essentials in the summer and they are so stunning on the skin! I am so happy it is the weekend! It will be a busy one for me, lots of work and I’m going to visit my best friend!! I hope everyone has an amazing day. Thank you so much for reading, I wouldn’t be able to do this without you!! Be kind and spread a little love everywhere you go! !